The first time I saw Sufjan Stevens was in August, 2005 at the Bowery Ballroom in NYC. I had fallen in love with his music several years earlier through listening to the "Seven Swans" and "Michigan" albums. When "Illinois" was released it was so different from his earlier stuff but so magical. I was excited to see that show but really curious how he was going to pull off all that elaborate instrumentation during a live set. Well, he and his band of Illinoisemakers did not disappoint that night and did an amazing job creating a live experience that managed to transcended the greatness of an already incredible album. I went into Saturday night's show with many of the same questions. I'd listened to "The Age of Adz" several times over the last few weeks. Again, it's material that is so different from his early work yet still retains the uniquely Sufjan sound. I read up on the background for the new album and honestly was pretty confused about the whole deal. The concert was completely different from what I expected but I loved it even more than I imagined I would. I never thought I'd see a Sufjan show break out into a dance party but that's exactly what happened. The shy, introverted singer-songwriter from just a few years ago has been replaced by a dancing, neon-accessory-wearing, captivating performer. 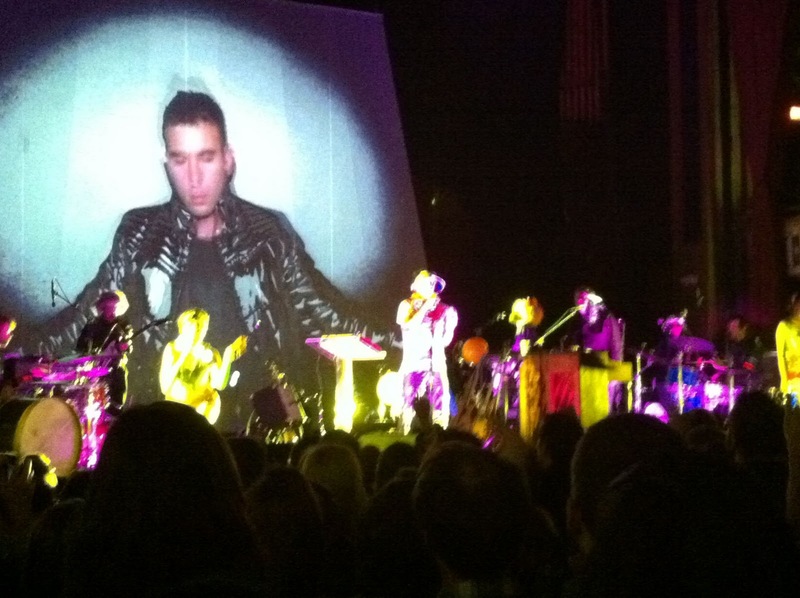 Whereas a few years ago, Sufjan seemed almost reluctant to sing and speak into the mic, he now owns the performance. Elements that could seem contrived or gimmicky like the costumes or auto-tuned vocals had a deliberate, confident usage that led an odd sense of authenticity to such things. The Age of Adz refers to the Apocalyptic art of Royal Robertson (1930 –1997), a black Louisiana-based sign-maker (and self-proclaimed prophet) who suffered from schizophrenia, and whose work depicts the artist’s vivid dreams and visions of space aliens, futuristic automobiles, eccentric monsters, and signs of the Last Judgment, all cloaked in a confusing psychobabble of biblical prophecy, numerology, Nordic mythology and comic book jargon. Portions of the album use Robertson’s work as a springboard into a cosmic consciousness in which basic instincts are transposed on a tableau of extraordinary scenes of divine wrath, environmental catastrophe, and personal loss. In Robertson’s imagination, guns, lasers, gargoyles, and warring battleships upend the sins of mankind with the pageantry of a Hollywood B-movie. (A selection of Robertson’s work adds extraordinary color to the album art as well). 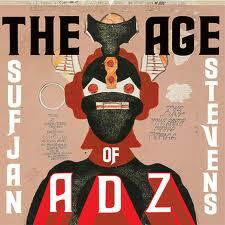 If you're a Sufjan fan or not, it's worth checking out the new "Age of Adz" album. I definitely appreciate it more after seeing the live show.